The luxury rose gold and platinum versions of the Samsung Gear S2 classic which were announced at the CES are now available for preorder in Europe. 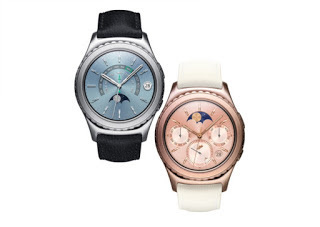 Coolblue, a retailer based in Netherlands has started taking preorders for the rose gold and platinum Gear S2. The smartwatches are available at €480 ($520) will be shipped to customers by February 24.